Terry. 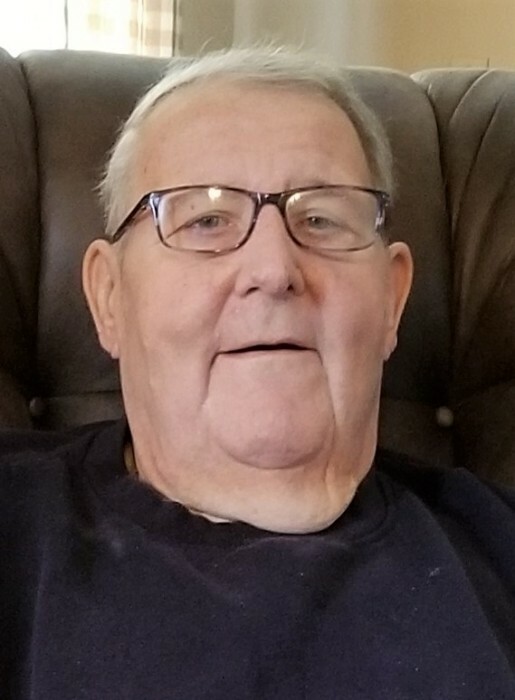 L. "Moe" Murray, age 70, of Elwood, passed away on Friday, August 17, 2018 at Community Parkview Health & Living after an extended illness. Moe was born in Elwood, Indiana on July 19, 1948, to the late Elbert Murray and Ruby (Musselman) Bray. Moe graduated from Wendell L. Willkie High School. Moe started out working for the U. S. Post Office as a mail carrier for 5 years. Moe then began his career working for the Elwood Police Department as a police officer, serving in the capacity of patrolman, Lieutenant of the 3rd shift and also served as the Assistant Police Chief. Moe worked for the police department for 21 years before he retired on October 2, 1997. Moe went on to work for St Vincent Mercy Hospital security for 15 years, then went on to work at Howard Community Hospital Security for 3 years. Moe was a former member of the Eagles Lodge, the Moose Lodge, the Elwood Men's Bowling Association, Indiana Central District Trustee for the F.O.P., served as a City Council Member at Large and was a member of the Board of Works. Moe served as the secretary of the F.O.P. #82 for several years. When he wasn't serving his community Moe enjoyed bowling, taking meticulous care of his lawn. He especially enjoyed mowing his yard. He also enjoyed playing cards with friends, gambling, attending classic car shows, camping with his family, fishing and just spending quality time with his girls. He will be dearly missed by all who knew him. Moe is survived by his Daughter, Paula Murray of Elwood, IN, Daughter, Melissa Murray of Elwood, IN, Brother, Darrell (Joyce) Murray of West Columbia, SC, Brother, John (Gaby) Murray of Kokomo, Sister, Cathy (Rick) Bouldin of Frankfort, Sister, Mary Sanders of Kokomo, bonus dad to his daughters and good friend, Mike Ramseyer, bonus daughter, Sarah Madden, bonus son, Clay Huff of Elwood, special cousin, Laney (Geneva) Heater, brother-in-law, Thomas LaPierre of Yorktown, brother-in-law, Douglas LaPierre of Muncie, sister-in-law, Dianne LaPierre of Bloomington, sister-in-law, Gayle LaPierre of Marion, and several nieces & nephews. Moe was preceded in death by his Father, Elbert Murray, Mother, Ruby Pauline Bray, the mother to his children, Carol LaPierre Murray Ramseyer, brother-in-law, Donald LaPierre, Jr., sister-in-law, Janet LaPierre, father-in-law , Donald LaPierre, Sr., Mother-In-Law, Shirley LaPierre, grand dog , Hunter. Funeral services celebrating Moe's life will begin at 11:00 am Thursday, August 23, 2018 at Dunnichay Funeral Home, Elwood, Indiana with Rich Leavell officiating. Private family burial will follow at a later date. Visitation for family & friends be Wednesday, August 22, 2018, 2:00 pm - 8:00 pm, at Dunnichay Funeral Home, 1113 S. Anderson Street, Elwood, Indiana. Memorial contributions may be made through the funeral home to "Shop with a Cop," or "Community Parkview Activities Department."